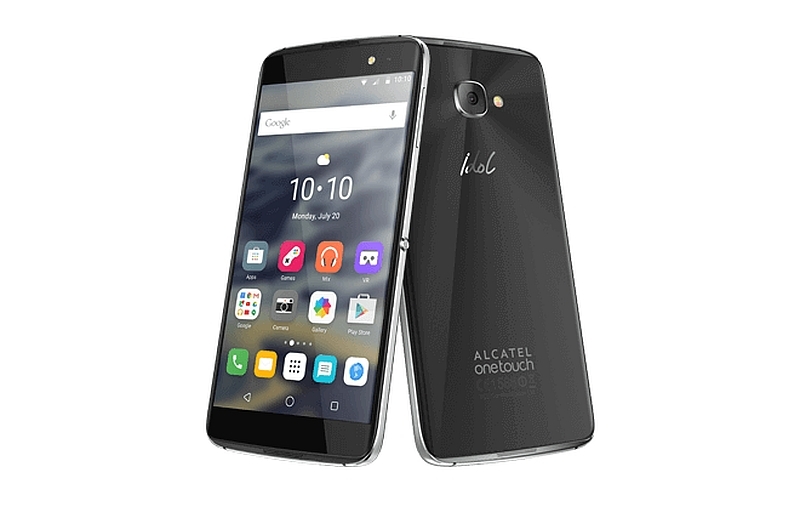 Alcatel is a tech-company known for offering something new always. Now the company had featured two premium handsets with affordable price at MWC 2016. The new smartphones are launched as heirs to Idol 3. By launching the latest Idol 4 and Idol 4S, the company made it clear that it still maintains the economical view for their handsets, but with premium features. The dimension of the Idol 4 comes to be 147*72.5*7.1mm with a weight of 130 grams. This smartphone features a Dual-SIM facility.Idol 4 is loaded with a display that comes to be 5.2 inches which comes to be nearly 69.9% of the total body and is having a resolution of 1080*1920 pixels with 424 PPI. The display is featured with IPS LCD capacitive touchscreen loaded with 16 Multi colours and supports 10 finger Multi-touch. Idol 4 is powered by Qualcomm MSM8952 Snapdragon 617 processor. This processor is made of Quad-Core Cortex-A53with1.7GHz and Quad-Core Cortex-A53with1.2GHz. This processor is supported by Adreno 405 GPU for extensive graphics. Along with a RAM of 3GB, Idol 4 is loaded with an internal memory of 16GB. The storage can be expanded upto 200GB with the help of external microSD memory card which can be inserted optionally to the SIM 2 slot. Users can interact with Idol 4 with the help of Android v6.0 Marshmallow. Idol 4 is having a primary camera that has 13MP lens. This camera is loaded with extensive features like Face Detection, Dual-tone LED Flash, Geo-tagging, Touch Focus, Panorama and HD Recording. Video can be recorded with a resolution of 1080 pixels @30fps. The front is loaded with 8MP lensproviding pixel clarity of 1080 pixels along with LED flash. On the communication end, Idol 4 holds dual-SIM feature, where you can use 3G or 4G SIM to one slot and other can be used optional either for putting secondary SIM or for putting the external memory card.Idol 4 also supports WiFi connectivity, Bluetooth with v4.2, GPS with A-GPS, NFC and FM radio. Handset is also loaded with microUSB port of v2.0. Idol 4 is loaded with non-removable Li-Ion battery with a capacity of 2610mAh. This latest smartphone is also loaded with sensors like Accelerometer, Gyro, Proximity and Compass. Alcatel officials told that Idol 4 will be prices at 280 Euros. Although the handset was showcased at MWC, they will be brought to market by the second quarter of the year.Idol 4 will be launched in various colour variants like Gold, Metal Silver, Rose Gold and Dark Gray. Idol 4S is a much premium version than Idol 4. The dimension comes to be 153.9*75.4*7mm with a weight of 149 grams.Idol 4S also features dual-SIM facility. The display is loaded with a 5.5 inched screen which comes to be nearly 71.9% of the total body. The resolution comes to be 1440*2560 pixels with 534PPI. The display is equipped with AMOLED capacitive touchscreen that supports multi-touch upto 10 fingers. Idol 4S is powered with Qualcomm MSM8976 Snapdragon 652processor. This processor is loaded with Quad-Core Cortex-A72 chip with1.8Ghz and Quad-Core Cortex-A53 chip with1.4GHz. This processor is backed by Adreno 510 GPU for graphics.Idol 4S is loaded with 3GB RAM and has an internal storage capacity of 32GB. This storage can be enhanced upto 200GB with the help of external memory card. Users can interact with Idol 4S with the help of Android v6.0.1 Marshmallow OS. The primary camera of Idol 4S is loaded with 16MP lens that is featured with Face Detection, Autofocus and Dual-tone LED Flash. Along with these features, this primary camera also supports Geo-tagging, Touch Focus, Panorama and HD Recording. Video can be recorded with a resolution of 2160 pixels @30fps. The front cam is loaded with 8MP lens with clarity of 1080 pixels along with LED flash.Idol 4S features dual-SIM facility, where one slot supports 3G or 4G and the other slot supports either SIM card or memory card.Idol 4S also supports WiFi connectivity, Bluetooth, GPS, NFC, FM Radio and USB. Idol 4S is loaded with non-removable Li-Ion battery with a capacity of 3000mAh. This handset is also loaded with sensors like Accelerometer, Gyro, Proximity and Compass.Idol 4S is tagged with a price of 450 Euros. Idol 4S will be available in the second quarter and will be available in colour variants of Gold, Metal Silver, Rose Gold and Dark Gray. Both the handsets are loaded with a Boom Key, which looks like a power button and is placed to the side. It can be used for various functions like launching camera, shuffle images and so on. 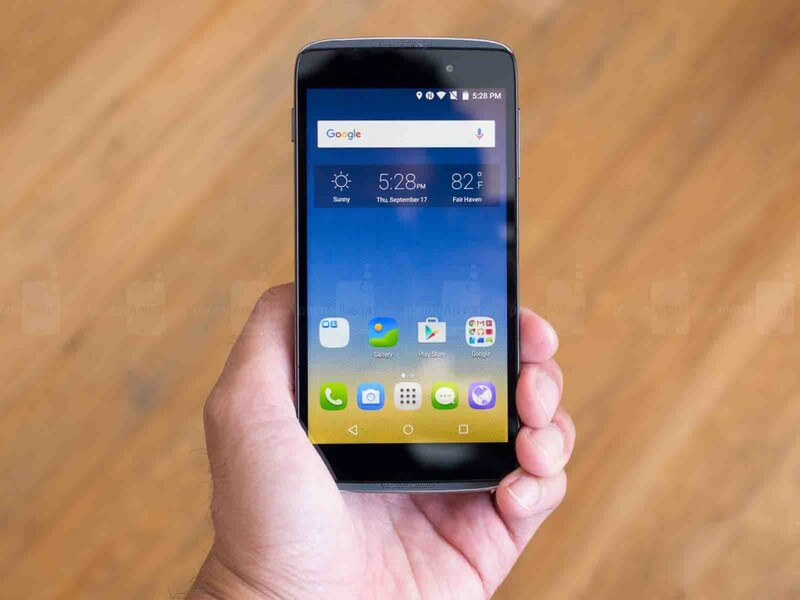 Currently this is compatible with Alcatel’s predefined settings but the company promises that they are trying to bring out more functionalities for the button. Alcatel also includes one JBL headset with the package. Apart from this Idol 4S can be doubled as basic VR headset with the help of some simple tricks.